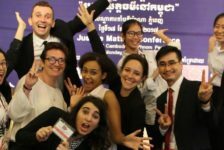 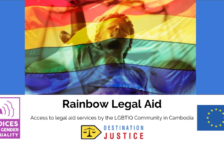 Destination Justice, in partnership with Transparency International Cambodia, is currently facilitating a series of training workshops for students and legal professionals on the Cambodian constitutional law and the use of the Annotated cambodian Constitution (ACC). 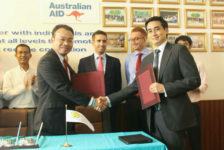 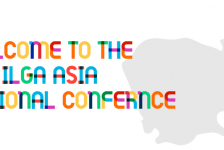 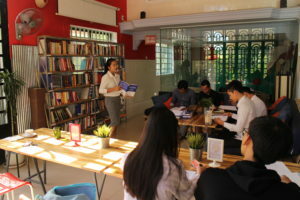 Those workshops are designed to present the ACC to the legal community, generate discussion about cambodian constitutional law and share the handbook with the legal community. 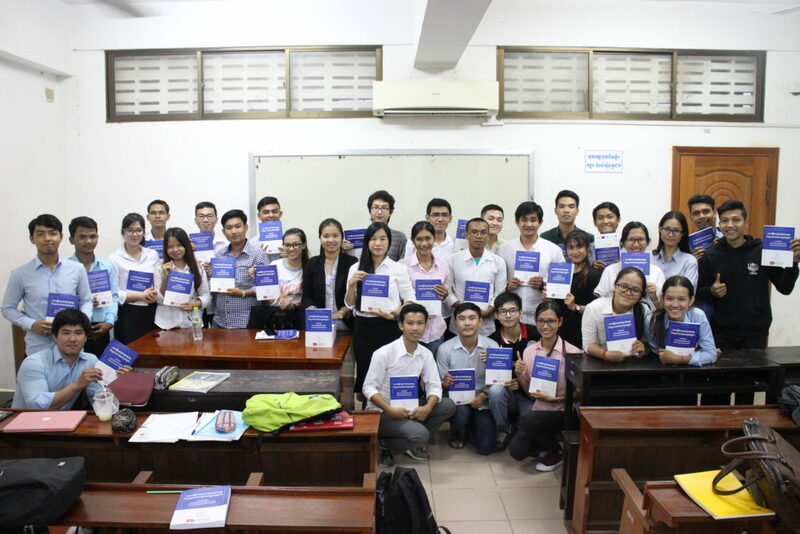 Beginning with a refresher of the constitutional law and its status as the supreme law protecting Cambodia’s democracy, the training then highlights the purpose of the Annotated Cambodian Constitution. 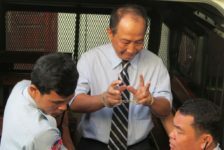 It summarizes current Cambodian constitutional jurisprudence and decisions from the Cambodian Constitutional Council. 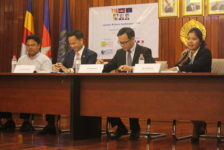 Additionally, relevant cases from different Courts and international jurisdictions like the United Nations Human Rights Committee, the French Constitutional Council and the European Court of Human Rights are paralleled with corresponding articles of the Cambodian Constitution. 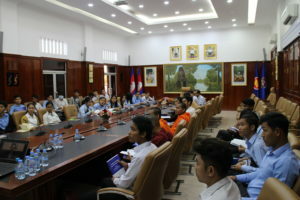 At the end of the training, the role of the Constitution and constitutional law in the legal system, and their applications in front of the Court were openly discussed with the students and legal practitioners, and several times, the need for available resources were highlighted by the participants. 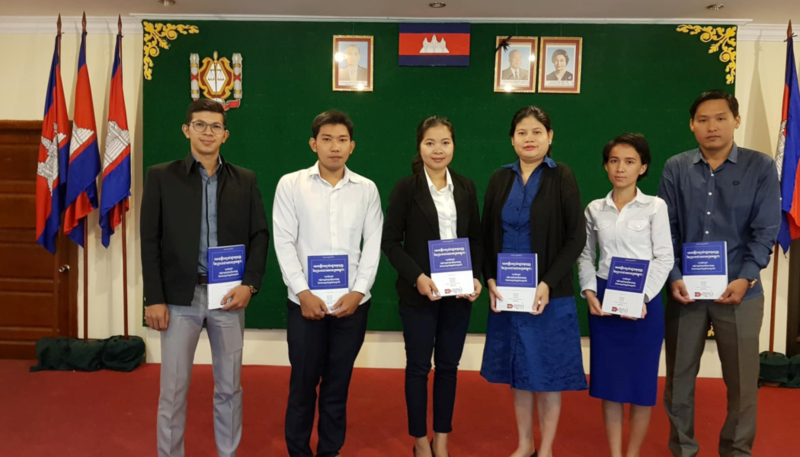 We held 7 trainings during which 160 judicial professionals and students in law were trained and received a free copy of the Annotated Cambodian Constitution. 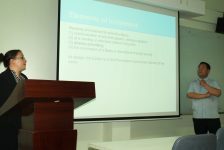 The trainings were positively received by the participants. 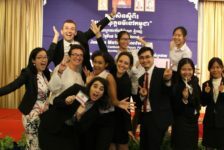 After examining feedback from 118 participants, on the 6 questions asked about the training and the perception from the participants, more than 85% of the answers were very positive while judging our training as good or excellent. 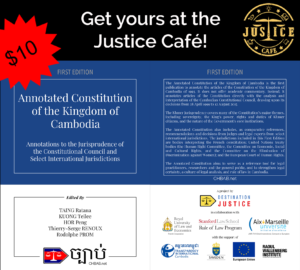 The Annotated Cambodia Constitution is available in Phnom Penh at the Justice Café in English (10USD) and in Khmer (5USD), or on Kindle.